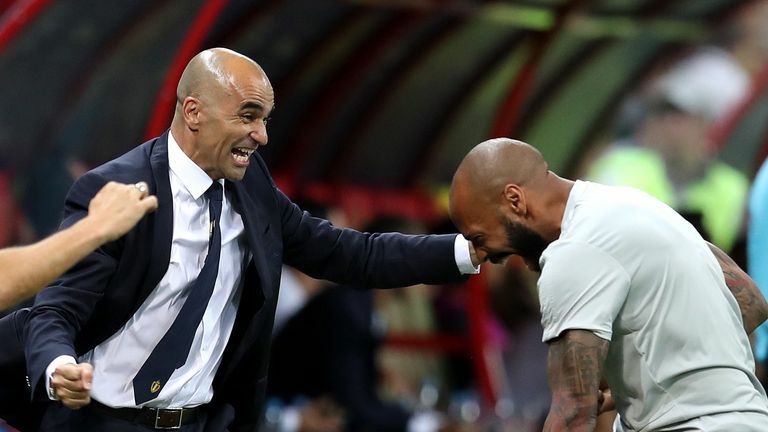 Roberto Martinez has backed Thierry Henry to be a top coach at Monaco but insisted his main role with Belgium has been to help prepare them for this summer's World Cup. 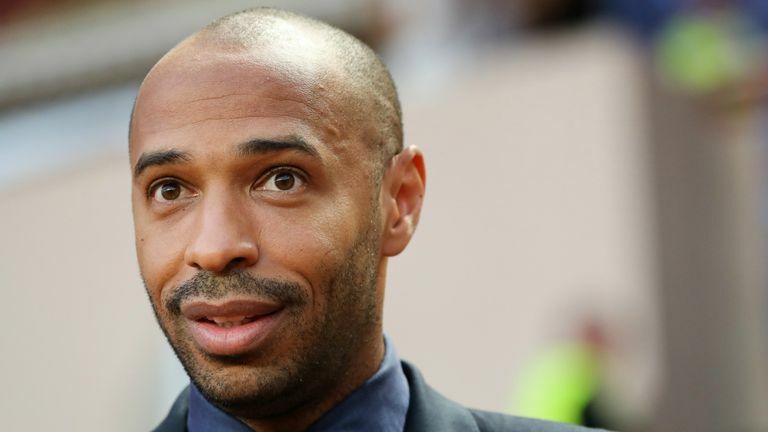 Henry was confirmed as the head coach of Ligue 1 strugglers Monaco on Saturday, a move that sees him leave his role as Belgium assistant manager. The former Arsenal, Juventus and France striker started his playing career at Monaco and is now tasked with guiding them away from the drop zone, with the club lying 18th in the French league having accrued just six points from their opening nine games. Henry helped Belgium reach the semi-finals of the World Cup and Martinez insists he leaves them on good terms with his primary goal with the Red Devils having been achieved. "I don't think it is a loss. The initial approach and initial project was to have Thierry's experience preparing the group for the World Cup and we achieved that and also [got] the results," Martinez said ahead of Belgium's international with Netherlands on Tuesday - live on Sky Sports. "That has been the focus behind it and there has been a full commitment from every part. "After that, it has been great just to have Thierry as part of the national team until the natural move would appear. It wasn't a case of leaving for the sake of leaving or trying to force a move. "We are all supportive of Thierry's move because Monaco is his home, it is where he started as a player and it is a natural way for him to start his coaching career. "He will be a top coach, there is no doubt about it. He has an obsession for the game, he has experience and know-how but we hope he also gets a little bit of luck. "You always need luck in football. It is a move we all support and he has gone with our best wishes. "We will all treasure the memories we created together from the first moment he started as a coach - and thinking as a coach - while he was with the Red Devils." Watch Belgium v Netherlands on Tuesday. Coverage begins on Sky Sports Football Red Button at 7:40pm.